Your support can ensure the long term sustainability of our exhibitions. 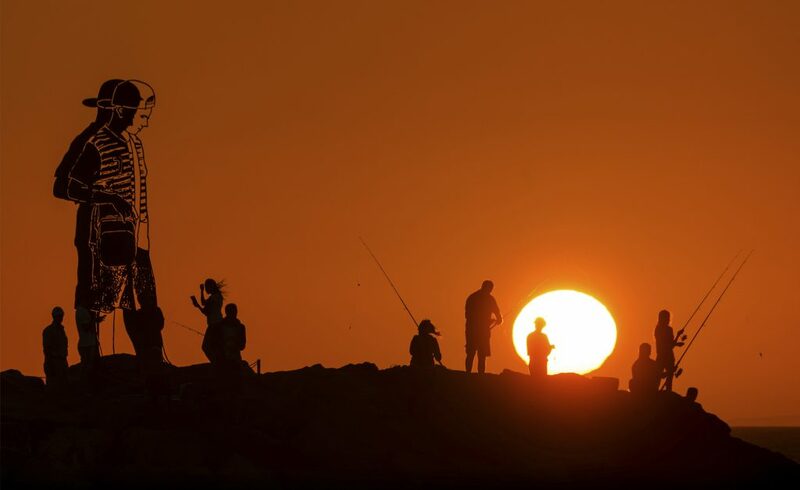 Sculpture by the Sea has survived for over 20 years thanks to the support that it has received from donors, sponsors and government. We plan to be around for 20 more with your help. Under the Spending Policy, income from the fund can be used to fund operational costs each year. The Endowment Fund was established in 2009, thanks to a significant anonymous donation, to provide some degree of financial sustainability for the organisation. With less than 20% of our funds coming from government grants, we are reliant on generous individuals and corporate supporters to fund the majority of the significant costs of staging our world-class exhibitions each year. The organisation has to commit to operational costs and artist support subsidies well in advance of the exhibition and hence prior to knowing what income we can secure. With no guarantee for the majority of our income, establishing the endowment fund allowed us to plan and commit to programs with a degree of security. Sustainability is a key focus for us. In recent years it has been a challenge to generate sufficient funds to stage our events. In fact, with government funds declining and an increasingly competitive fundraising market, we have recorded deficits for the last 2 years. To reverse this situation, we need your support. We want to grow the Endowment Fund to have a corpus of between $2-3 million, so that the income generated can contribute over $200,000 to operating costs each year. With this critical mass of funds in the endowment fund, being professionally invested, we will be able to generate an annual income to ensure the long term sustainability of the organisation. Every exhibition Sculpture by the Sea covers the core production costs and hire of site infrastructure such as marquees, site sheds and fencing, providing security, arranging for onsite First Aid, traffic management measures, recruiting and managing volunteers, site signage, insurance and risk management plans. These are all essential to be able to run and present the exhibition. To continue to be able to stage this world-class free experience for all, we need to raise approximately $200,000 per year to maintain the sustainability and longevity of the exhibition. A robust endowment fund can help fund this. The planning and production of the exhibitions is a year round endeavour for our core team. In order to function, the organisation has the same fundamental needs as any company, needing office space, computers, IT systems, internet, phones, copier/printers, stationery, power etc. These fundamentals cost over $250,000 per year, with the largest cost being rent for our office and a storage location. The organisation receives no core funding to cover these basic administration costs, so for the ongoing sustainability of the organisation we wish to raise sufficient funds to know that these costs will be covered each year. 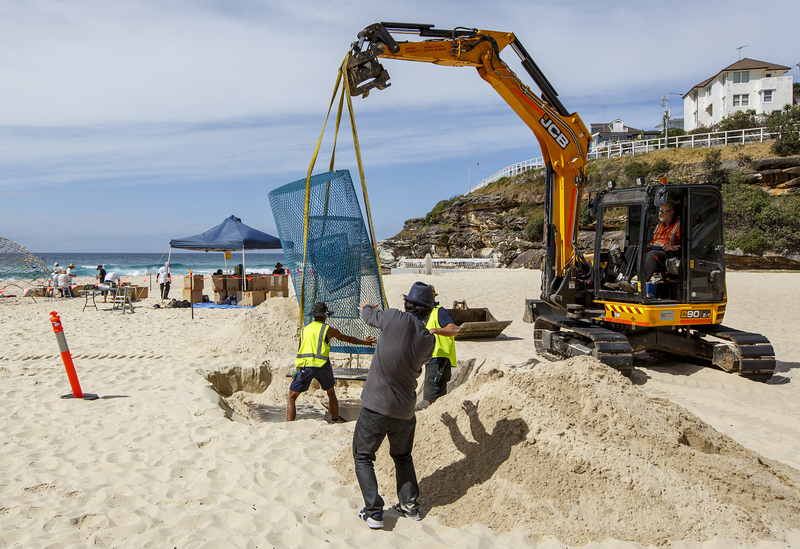 Install on Tamarama Beach, Sculpture by the Sea, Bondi 2017. Photo Jessica Wyld. 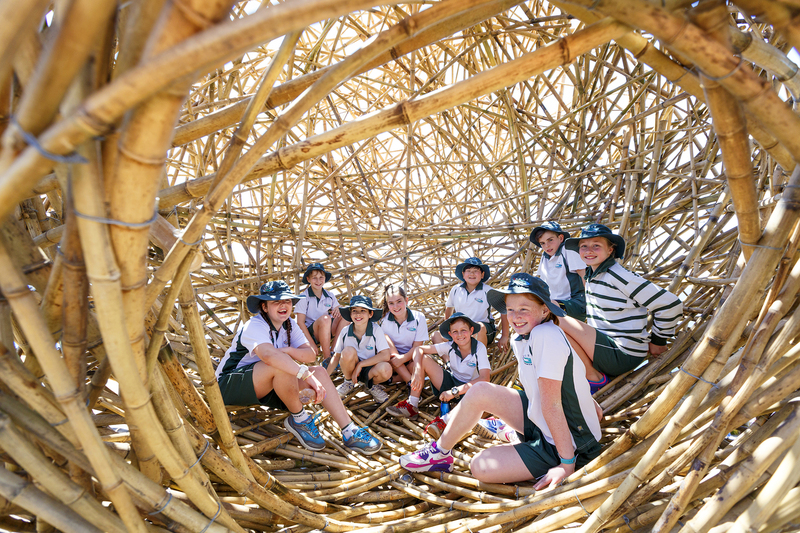 Since 1997 Sculpture by the Sea has put the artist front and centre of the exhibitions. Without the artist, there is no art, which would mean no exhibition for everyone to enjoy. 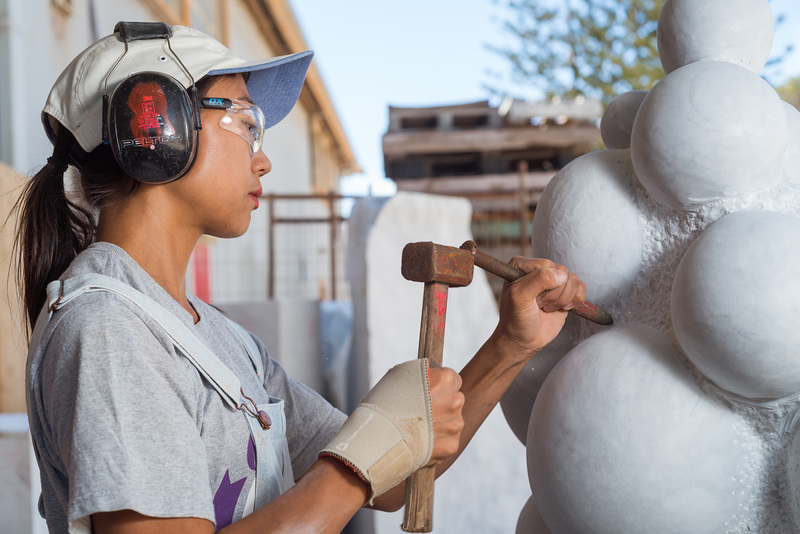 Sculpture by the Sea supports artists to assist them to participate in each exhibition and thereby give them the opportunity to express their ideas on a world stage, seen by hundreds of thousands. With your support we can make it happen for generations to come. Join our community of passionate individuals, to help us be sustainable now and for many generations to come.